Brendan Eich donated to Prop 8 but supports workplace equality. Is that too queer? 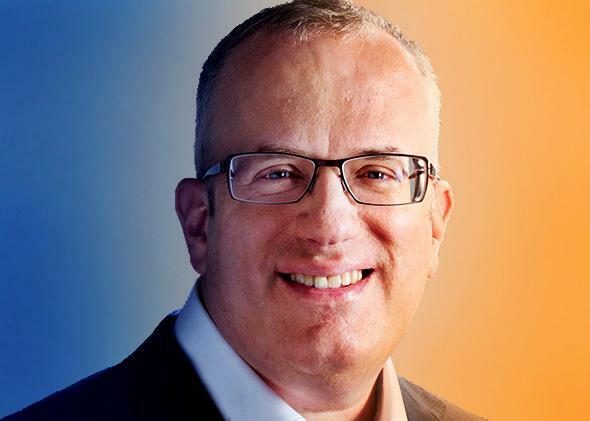 Brendan Eich donated to Proposition 8 but supports workplace equality. How can he do both? Ross Douthat has out-Slatepitched me. Here I was, huddled with Andrew Sullivan, Reihan Salam, Conor Friedersdorf, and a few others in a strange platoon of gay marriage supporters defending Brendan Eich. Our readers on the left think we’ve sold out to the right. Now along comes Douthat. On behalf of his portion of the right—that is, thinkers—he says, quite graciously, thanks, but no thanks. Douthat recognizes what I was trying to get at yesterday: Eich’s ouster is in some ways a model for what religious conservatives would like to do in their own communities. They want the freedom to invoke their values in the appointment and removal of officers whose views offend them. Liberals for Eich, meet Conservatives for Mozilla. If you want (as I do) a culture where Catholic schools and hospitals and charities are free to be Catholic, where evangelical-owned businesses don’t have to pay for sterilizations and the days-after pill, where churches and synagogues and mosques don’t have to worry about their tax-exempt status if they criticize “sexual modernity,” you also have to acknowledge the rights of non-religious institutions of all sorts to define their own missions in ways that might make an outspoken social conservative the wrong choice for an important position within their hierarchies. In the name of pluralism, and the liberty of groups as well as individuals, I would gladly trade the career prospects of some religious conservatives in some situations—not exempting myself from that list—if doing so would protect my own church’s liberty (and the liberties of other, similarly-situated groups) to run its schools and hospitals and charities as it sees fit. Would you, Dear Liberal Reader, accept Douthat’s deal? Would you let conservatives run their own companies and organizations by their own rules, even if it means removing a gay CEO? Had Eich been, say, an outsider to Mozilla, a hotshot brought in to shake things up, and had he also been an outspoken critic of gay rights or a massive Koch-style donor to social conservative causes, it would be fair to say that his appointment was simply a tone-deaf mistake, a pointless affront to the political sensibilities of the community in which Mozilla lives and moves and hires. The purpose of this distinction is to explain why Eich’s removal was wrong, from Douthat’s point of view, while preserving the right of “an explicitly ideological institution”—or, apparently, an “evangelical-owned business”—to force out an officer who “went out of his way to publicly promote values noxious to his community.” I’m not certain whether this policy regarding “outspoken” dissent would make any openly gay executive fair game. But my bet is that Douthat would err on the side of employer discretion. When Douthat predicts that liberals won’t accept that bargain, I’m pretty sure he’s right. But that doesn’t make his argument worthless. Even if you don’t buy Douthat’s conclusion, the substance of his description of the Eich case is worth considering. Eich, as Douthat observes, was well-known to the community of Mozilla employees and software collaborators. No one has accused Eich of discrimination or personal insensitivity. Quite the opposite. Today I was on a radio program on KQED, an NPR affiliate in Northern California, and a Mozilla employee called in to reinforce that point. Yes, Eich gave money to the Proposition 8 campaign six years ago. He even gave money to Pat Buchanan, if you go back 22 years. (He also gave money to Ron Paul and God knows who else—people can be eclectic in their political contributions.) At the same time, as Friedersdorf notes, Eich has promised to pursue Mozilla’s “anti-discrimination policies” (including sexual orientation), its “inclusive health benefits,” its “active commitment to equality,” and “working with LGBT communities and allies” to “make Mozilla supportive and welcoming.” These aren’t new policies Eich had to swear allegiance to as an incoming CEO. He’s been living them, as a central player in the Mozilla family, for years. Is it possible that Eich defies our stereotypes about social conservatives? That you can write a check to a “traditional marriage” campaign (even one that runs ads you didn’t write or approve—a standard I don’t think we apply to ourselves) without showing any evidence, in decades of professional collaboration and management, of any bias against gay colleagues or couples? I don’t know how this story will turn out. Maybe someone will come forward to testify that Eich treated gay and straight couples differently outside the context of defining marriage. But it’s striking that so far, despite all the uproar, nobody has. Maybe what we’re seeing in Eich is the kind of complexity that liberals tend to accept when we talk about a person’s gender or sexual orientation. Maybe we ought to entertain the same complexity when we talk about a person’s morality and fair treatment of others.